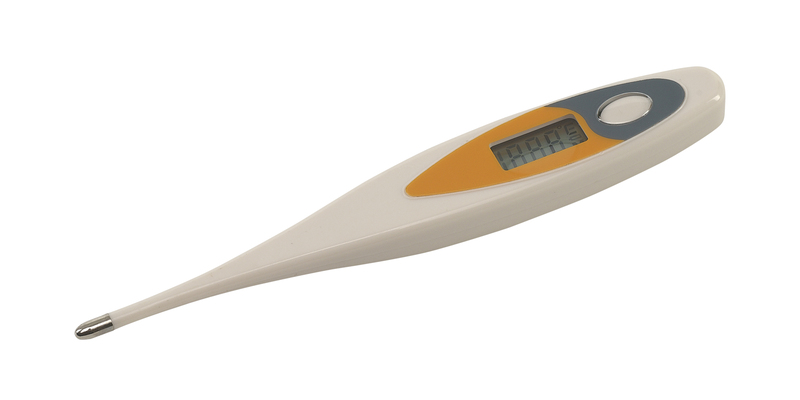 Digital thermometer, accurate to 0.1°C. Used to take rectal temperature in horses (as well as cats & dogs). Normal temperature range for a horse is 37-38.5°C. If you are concerned, please contact your vet.